the homie nikko just posted these up on his facbook and i have to say i'm impressed. 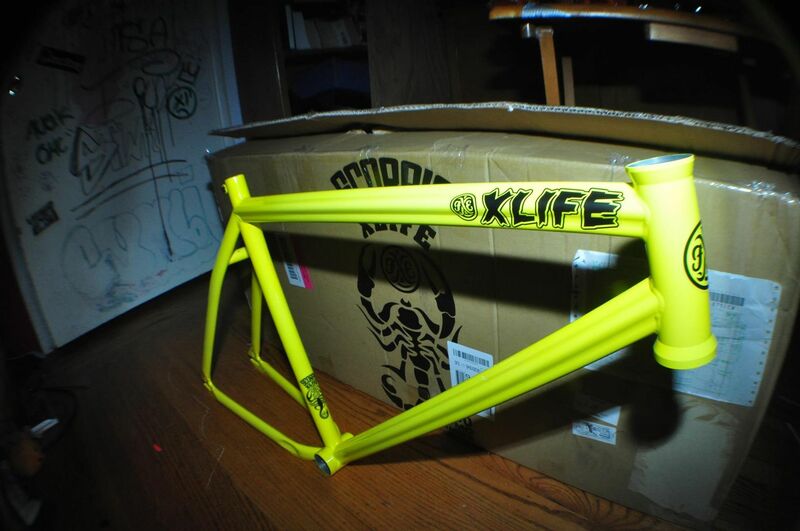 the xlife scorpio may not be a household name, but it's still a pretty impressive contender in the FGFS sector. 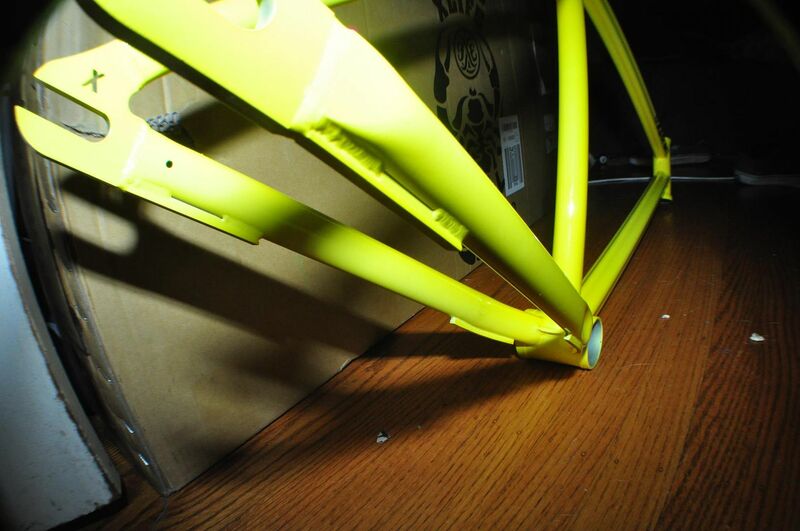 this protoincludes changes such as the "'nago" style downtube, as well as the additional nifty grind gussets (production version only has bb grind gussets). you can see some builds over here at xlife. Grime GOAT yellow/green. Couldn't they of picked another color?